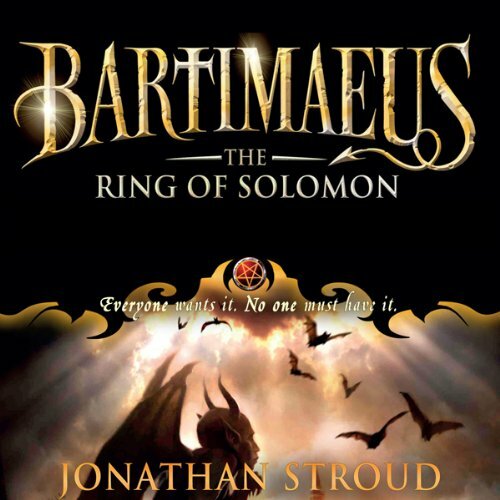 Fans of Jonathan Stroud's Bartimaeus books will devour this book - a cracking adventure brimming with magic, intrigue and a treasure trove of characters that the listener can't help but fall for. We find everyone's favourite irascibly insolent djinni serving at the court of King Solomon in 950 BC Jerusalem, where he is causing his customary chaos and must help a girl assassin sent by the Queen of Sheba to steal the all-powerful Ring of Solomon. The comic relief is perfectly timed, the dialogue sharp and snappy and the fiendishly clever plot perfectly handled with Jonathan's trademark flair and command of language. Thrills, chills and a danger-spiked finale - this is one of the publishing events of the year.